Hong has a slender body, a voice that rings like a bell and a rosy face, he is utterly unassuming in appearance. Only the most sharp-eyed insiders immediately recognize him to be the great kung fu master that he is. After practicing Tai Chi for more than 20 years, he dedicated himself to cultivating Shaolin kung fu, amongst other forms. He is today a master of the art. 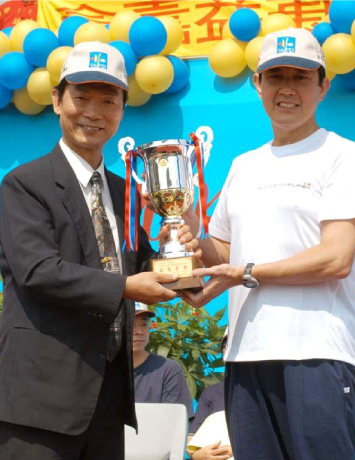 He is also the deputy secretary of the Taiwan Yang-style Tai Chi Association. He attained the highest level of competency when one day while practicing kung fu, the two energy channels of ren and du inside his body suddenly connected in alignment. Hong shared his experience of this moment, “When the two energy channels of ren and du were connected, my whole body became light as if it were weightless, the pores all opened and my whole body began to sweat, but the energy was full and circulated unprecedentedly throughout my entire body”. Since his son was young, he often heard his father telling stories of his practice of martial arts. He describes them to be just like imaginary scenes in a martial arts novel but ones that are taking place in modern day life. “In a silent night under the moon, my father and my father’s older brother were competing with each other in kung fu, standing and staring intently at each other. My uncle could not hold his temper and revealed his weaknesses so he was defeated by my father,” Hong’s son recalled. “And when my father went to the army, he raised a falcon. Other than picking up leftovers to feed the bird, he would often go to the mountain to catch wild animals for the falcon to eat.” (Readers can imagine the scenes in the well-known Chinese martial arts novels). The other year, the international martial arts tournament was held in Taiwan. Hong Ji Hong received an invitation to join their celebration party as an honorary guest. Understandably, news of his legendary skill spread and a large crowd assembled to witness (and test) his abilities. Among them were 2 highly skilled Korean Taekwondo practitioners who were interested in the principle of resolving attack by being in a dynamic state. Hong simply suggested that the two men use all of their strength to punch him at full force. With one slight shake of Hong’s body, the two men immediately flew more than 2 meters across the room. Absolutely amazed, the crowd of practitioners gathered around Hong to ask for his guidance. 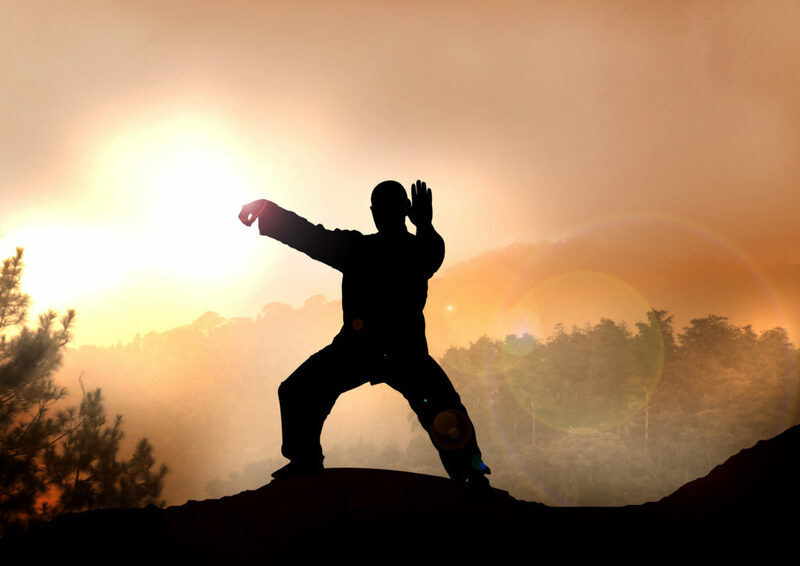 Taiji-trained Hong has reached a high level of Tai Chi kung fu but he knows that Tai Chi kung fu, founded by Zhang Sanfeng, has been greatly modified thus far, and more importantly, the true essence of ‘dharma’ has not been handed down fully. For this, he has always felt solemn. For many years, he has been searching for a cultivation practice that could help practitioners to elevate to a higher level. April 24th, 1996 was a big day in Hong’s life. It was the day that he first participated in Falun Gong’s 9-day’s of classes, watching Master Li Hongzhi’s Fa lecture videos, in the five Falun Gong exercises. Hong recalls, “After the first day, I told myself, ‘Oh, Heavenly secrets have been all unveiled’ because I fully understood the teachings. At that time my job was very busy, in normal circumstances, I could not study continuously for 9 days straight. But listening to Master Li Hongzhi’s first lecture, immediately made me feel like I was awakened, and made me regret that it was too late for me to complete it. As a result, I overcame all difficulties to finish all 9-days of lectures. On the third day of class, April 27th, it was my wife’s 50th birthday. However, I thought that what I had discovered was the best thing in the world, so I called the flower shop to send flowers to my wife on behalf of me. Only after I finished listening to Master Li Hong’s lecture did I go home”. 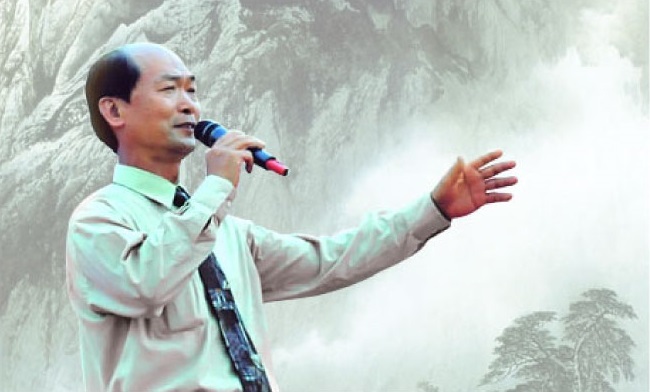 Despite having been stanchly involved in the Christian Church and having read the Bible for decades, Hong still had “bottlenecks” that could not be resolved in his understanding of morality. However, when reading the main book directing the practice of Falun Gong, Zhuan Falun, Hong suddenly gained a very clear understanding of its many moral principles, many of which he couldn’t previously have explained. There were many biblical teachings that seemed to contradict themselves, or in fact human nature. He knew the teachings but could not fully practice them without comprehension. A new perspective, with fewer gaps in reason, was presented to him after cultivating Falun Dafa. He finally understood that whatever happens in life was not coincidental but a predestined inevitability, which was also an opportunity for himself to improve his inner mind. Hong discovered that in Zhuan Falun the ‘dharma’ of martial arts is fully presented, which something he had sort guidance on for a long time, “Zhuan Falun emphasizes, the higher one’s inner mind is the more gong he can obtain,” Hong commented. “I saw that this book Zhuan Falun is, in fact, the Dharma”. Falun Gong requires practitioners to read this book regularly in addition to practicing the exercises. Doing the exercises alone, without reading the book is not fully effective, just like when learning a sport. After Hong had been practicing Falun Gong for just two months he decided to put himself through a test. In order to test the results of his practice, he attempted to violently hit his head with a 1.5cm-diameter steel rod. In the blink of an eye, the steel rod was bent and the top of his head remained unscathed, neither a scratch nor a cut could be found. But ever since, a soft ball of water formed in the middle of his head at the point of the impact. It wasn’t until after practicing Falun Gong, that out of the top of his head cracked a miraculous little hole. The water slowly flowed out and then the crack automatically healed up. This proved what the book “Zhuan Falun” says, that practicing Falun Gong will help the body automatically purify itself. For a long time, people believed that it was highly exceptional for a kung fu master to connect the two energy channels of ren and du. 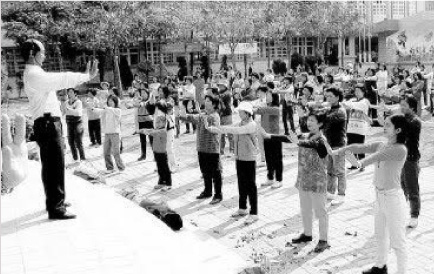 However, after practicing Falun Gong, Hong is now aware that the connection of these two channels is nothing but scratching the surface of qigong, it is, despite widespread opinion, the basics. 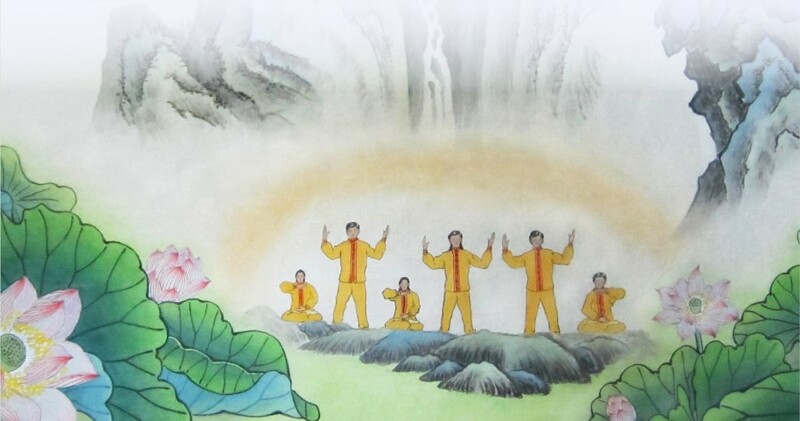 After only 2 months of practicing Falun Gong, he accessed the ability to connect the great heavenly circuits. 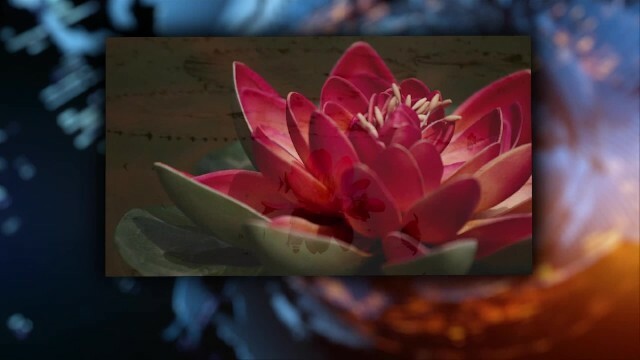 “Falun Gong uses the energy of the universe to transform your body, the energy field is extremely powerful, very fast acting and a completely transcending level of Qi. This is truly practicing at the highest level,” Hong commented. Practicing Falun Gong gave Hong access to a realm that far surpassed any that he previously knew possible. Patience and tolerance change him from the inside out. After acquiring the ‘dharma’ of Zhuan Falun, Hong made a big step in the improvement of his inner mind. Falun Gong’s requirement to always ‘look inward’ has instructed Hong to find the cause of whatever happens around him inside himself. Igniting a change inside him that is eternal. For example, before retiring Hong used to be the deputy general manager for a large Taiwanese corporation. In the corporation, he also held the position of director of construction work. He was appointed to handle a real estate project that two previous directors had failed to negotiate on with their customers, many of whom still refused to complete or cooperate on the project. On the first day when Hong Tien took office, he was very happy to accept the task. All of the staff, however, laughed behind his back, sure that this new director would have very little success, and would ultimately fail just as the previous directors had. However, without exception, every customer felt that he was not like any of the other directors who used their expertise, experience, and talent to deal with them. He took a different approach, he used his humility, humanity, and patience. He patiently listened to their claims, sincerely exchanging correspondence with them, and set up ‘director Hong’s time’ an out-of-working-hours forum from which he could receive customer complaints. As a result, he not only reached the project completion deadline but also in an incredibly short time completed the apparently “impossible task” and got acquainted with many new friends. Also due to this project, Hong, that year, was considered a particularly outstanding achiever. This was a very special honor in the world of high ranking corporate leadership. Also seeing his father’s ‘seemingly unbelievable’ changes, after a long time of thinking and judging, Hong’s eldest son became the fifth member of the family to practice Dafa. 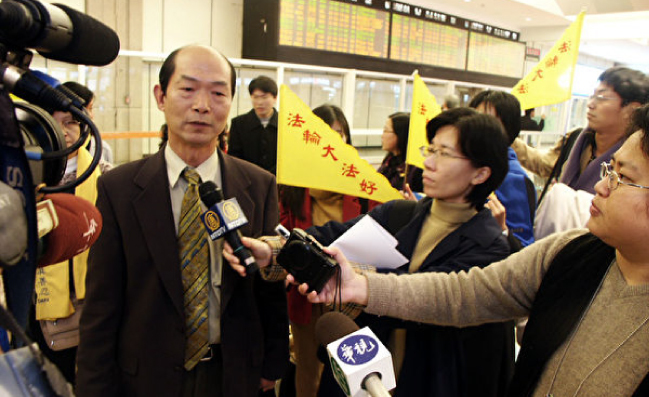 In November 1996, the first International Falun Dafa conference was held in Beijing. 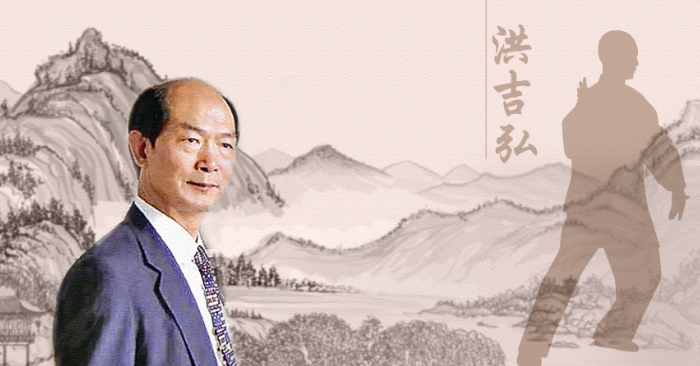 This was the first time Hong met Master Li Hongzhi whom he had longed to meet for a long time. After listening to Master Li’s teachings, a Beijing practitioner came to say goodbye to Hong and found him in a state of tears and speechlessness as he had just met Master Li not long before. Hong was deeply moved by the meeting as if he was a long-lost child seeing his father for the first time. Hong, throughout his life, has practiced many various types of kung fu all of which he has pursued to a ‘high-level’. But he eventually discovered that all he had been searching for laid in the book of Zhuan Falun. He said that the teachings in the book are not something superstitious but are based on scientific and rational explanations about the truth of the universe, that could actually bring people to the realm of “returning to one’s original, true-self to transcend the ordinary human level”. “Master Li Hongzhi uses dialogue to bring the most profound, mystical morality, from the shallow to the profound, into systematic teachings, making those who, despite having very low levels of education, quickly understand the moral standards of a human being, the principles of cultivation”. Hong has been cultivating Dafa for more than 22 years, his experience is that “All of the things that Master Li teaches in the book are real”. “I have learned a lot of other kung fu but discovered the teachings of Falun Gong was fundamental. They are the hope of the future of humanity”.